The European Jewish Community Centre, located at the European Jewish Building in the heart of the European Quarter in Brussels, is a focal point for Jewish events, services and resources at the European Union. The EJCC is a people oriented, community-driven organization dedicated to enhancing the quality of Jewish life through educational and cultural events. 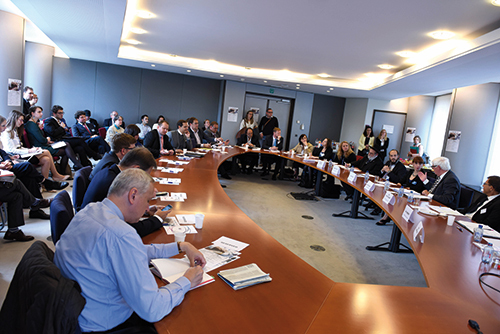 The centre is multi-lingual, serving the needs of government officials, diplomats, journalists and consultants to the EU. 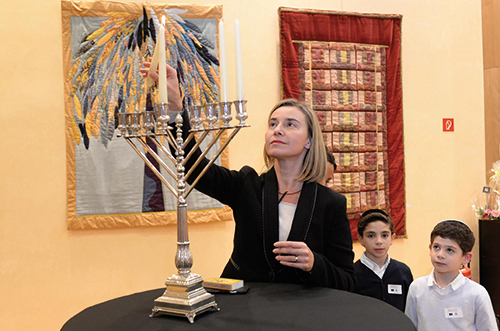 To promote Jewish culture in the European Union and its institutions by creating a dynamic centre for anyone interested in Jewish Culture, nourishing a community in all its diversity. To strengthen Jewish identity, nurturing a meaningful Jewish life with an eye on progress, and consistent with today’s world. Enrich your life and make new friends at our exciting social events. Create a social network in a warm and friendly environment where you can feel at home. Explore the cycle of Jewish life at our social events linked to the holiday celebrations. Women’s Club: a monthly get together to explore the challenges of a Jewish woman’s life. 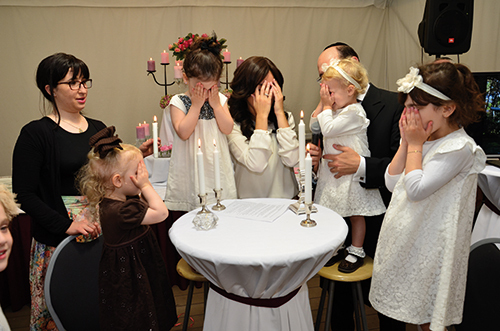 Culture is a predominant part of Jewish life. Explore the great joys of Jewish culture with our extensive programmes of cinema, concerts, art gallery visits, exhibitions, and a monthly book club. 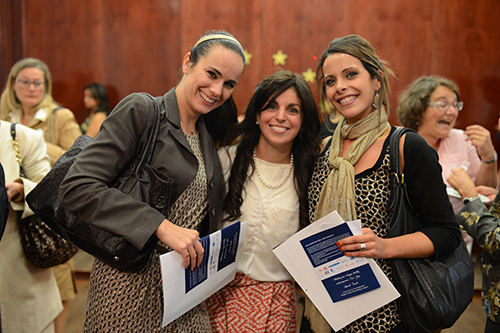 EJCC aims to strengthen ties and create bridges between the EU Institutions and Jewish values. 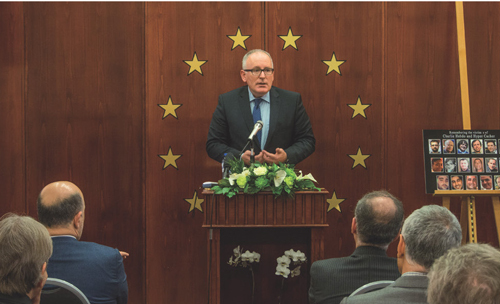 Through diverse events, seminars and meetings in the premises of the EU institutions, officials and civil servants can discover the wealth of Judaism, as a comprehensive and inclusive role player in European culture, and the universality of its values. 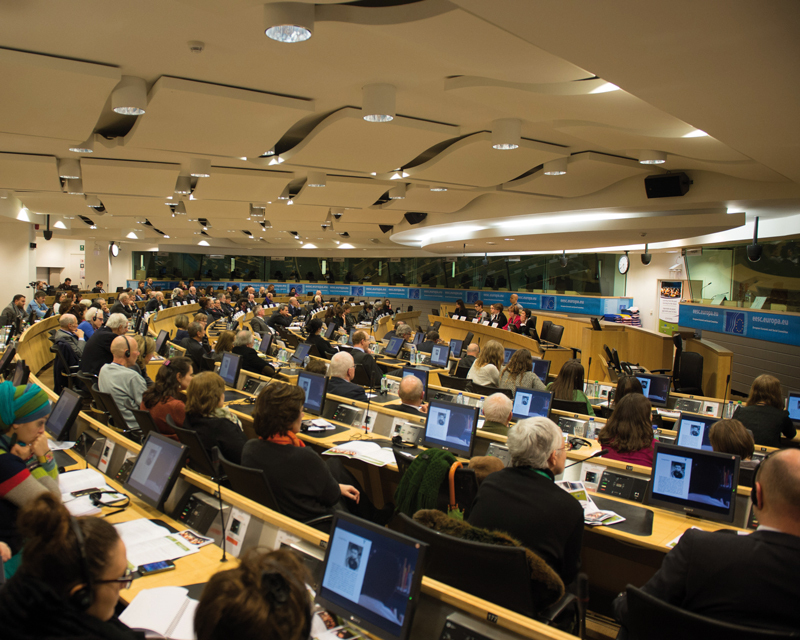 The EJCC is present in the EU Institutions through the organization of all kinds of events, conferences, seminars, and meetings in the premises of the EU in order to provide more information on Jewish topics and promote Jewish culture. Throughout the years, High ranking personalities and decision makers have been attending and supported EJCC projects and events.